Every iphone owner would have come across the song-identification app Shazam in the Appstore which identifies the song based on its tune. When ever you hear a song being played, doesn’t matter if you were in your car, movie, theater or anywhere, just fireup the app. 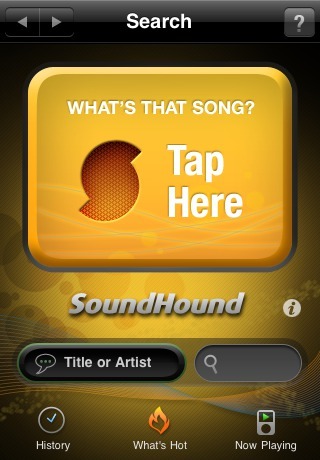 The app records the music, sends it to the server and identifies the song based on tune analysis. But guess what, there is an alternative to Shazam which is better and faster called SoundHound, and they’ve just today countered Shazam’s offering by making their own iPhone app. SoundHound is reportedly faster than Shazam and has patent pending song identification algorithms that identify a song twice as fast than Shazam. 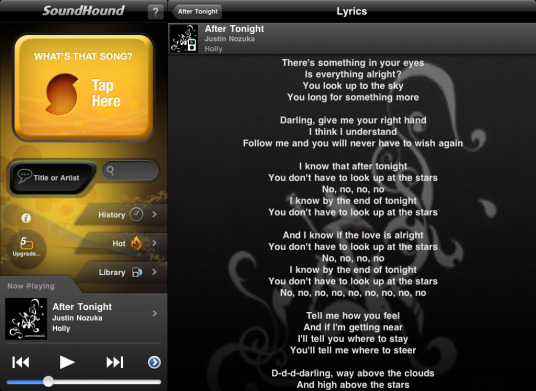 SoundHound is not only better for its faster processing of song data but also throws in multiple options such as youtube music videos and offers song lyrics, artist biographies and comes with an ability to identify all the songs on your iPhone’s ipod player. Until now SoundHound would cost $4.99 for unlimited song identifications but today SoundHound’s freemium iPhone app which is free and comes with 5 free song ID’s per month has hit the app store. More song ID’s can be added by buying 5 more ID’s for $0.99 or upgrade to unlimited for $4.99. The app works on both iPhone and iPad. You can visit sound hound here.